A coalition of civil rights groups say the Obama administration should stop prosecuting illegal immigrants for entering or re-entering the U.S. illegally. In a letter to Attorney General Loretta Lynch, the 171 groups argue that such prosecutions are “profoundly immoral” and target Latinos. “Federal criminal prosecution is the wrong response to immigration at our southern border,” the groups wrote this week in a letter addressed to Lynch. 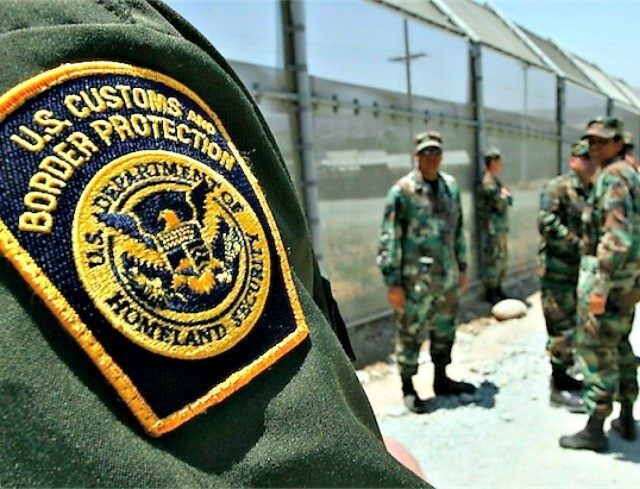 According to the groups — which include the ACLU, Human Rights Watch, NAACP, La Raza, and MALDEF — the prosecution of illegal entry is the most prosecuted federal crime in the U.S. but, they charge, it does not meet the Justice Department’s standard for enforcement priorities. “Yet these prosecutions further none of DOJ’s own prosecutorial priorities – national security, violent crime, financial fraud, and cases that protect our most vulnerable communities,” they write. The groups further charge that such prosecutions disproportionately affect Latinos. Overall, however, the organizations charge that such prosecutions are simply wrong. The letter, initially highlighted by Fusion, comes as the Obama administration has already cut down significantly on the level of deportations and protected entire categories of illegal immigrants from enforcement. According to the groups, if the DOJ does not stop all prosecutions for illegal entry or re-entry at the southern border, then the department should take steps to reduce them. “Short of complete discontinuation, we urge you to issue guidance directing U.S. Attorneys to 1) significantly reduce their use of prosecutions for illegal entry and re-entry, and 2) always decline referrals for prosecution of asylum seekers,” they write.